Manchester United Star man Alexis Sachez has opened up on finding it hard to adapt at the club. 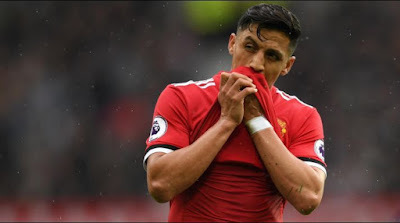 Alexis Sachez joined Manchester United from Arsenal during the January transfer window and since then he hasn't been able to replicate the kind of form he has during his days at Arsenal. Though Alexis has got some goals for the club, many will still think he is not the best buy for the club. Sanchez will be looking to be fit for next week season and will hope he can be of good help to the United side.